Be the envy of the neighbourhood with this racing go-kart, even if its raining you can race around indoors due to its EVA tires. It has adjustable steering wheel and seat so that the pedals are always within reach, to finish the racing design off it has a two tone colour finish and different coloured rims. 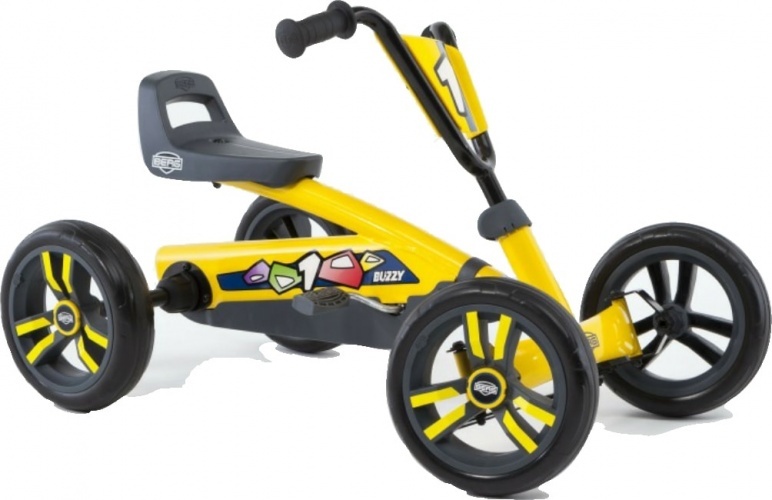 The Buzzy Racing pedal go-kart is a great way to take the first step from walking to riding a bike. The Buzzy Racing is suitable for ages 2 -5. Get your first pedal experience on a BERG Buzzy. This super cool sensation on four wheels is much more stable than a three-wheeler. Your feet remain firmly on the pedals even round sharp corners. The size of the BERG Buzzy and its EVA tyres make it suitable for indoor and outdoor use. Even the rain will not stop you from having lots of fun with your go-kart. 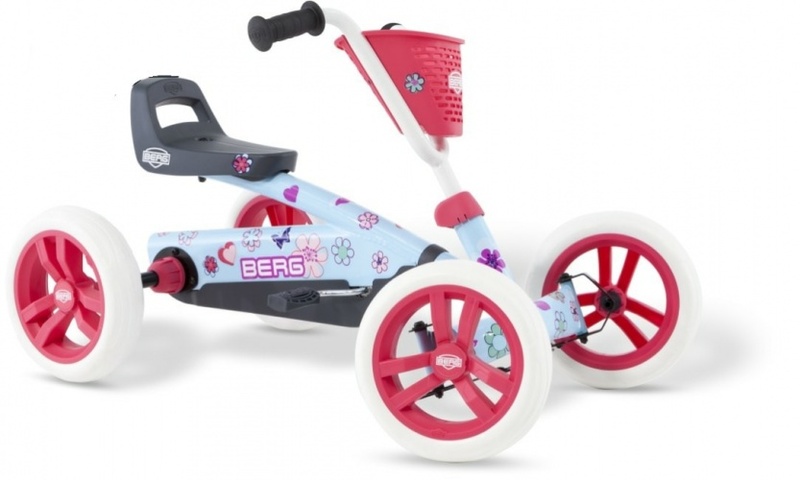 The BERG Buzzy is suitable for children aged 2-5. 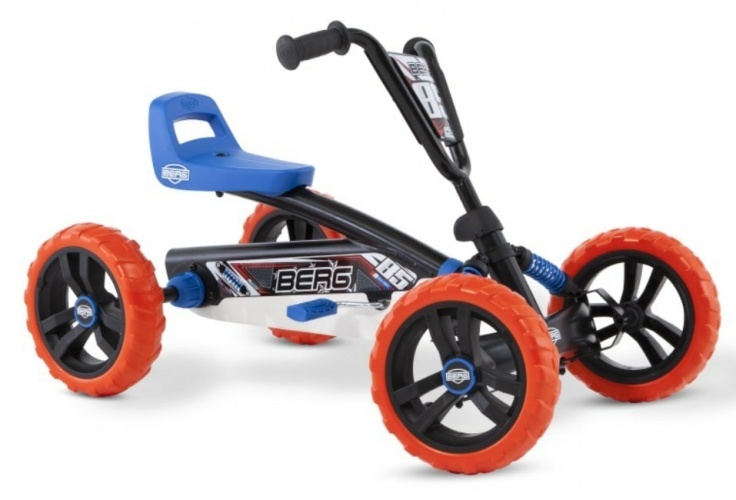 Also, the BERG Buzzy’s features make it much safer and more fun than a tricycle. • EVA tyres so no more flat tyres! • Helps children learn to pedal. 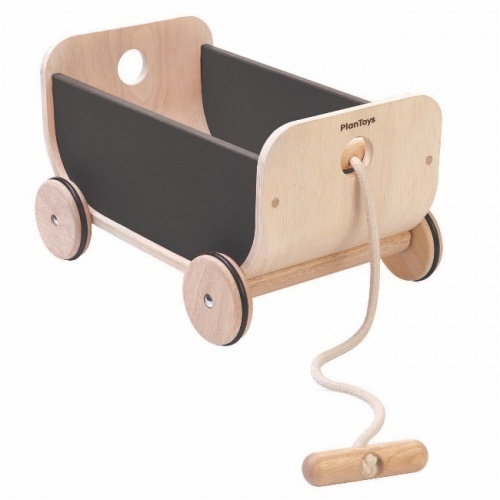 • Smooth and light pedalling. • Stable due to the four wheels. • A swing axle for perfect road holding. • The pedals remain within easy reach when steering. • Infinitely adjustable steering height. • Three adjustable seat positions. • Suitable for children aged 2-5. • 5 Year performance warranty when registered at www.bergtoys.com/registration. Full warranty details can be found on the link as well.